Have you had enough of me and my pumpkin love yet? Only a month of me smothering you with my pumpkin-ness left, thennn we'll be all about Thanksgiving around here! But anyway, we cut out dairy in our house a little over two years ago, man I can't believe its been that long! At first it seemed impossible to live without cheese and milk in recipes, but now its easy to substitute. Milk is now coconut milk; Butter is ghee; Cheese is replaced by Daiya; and bananas replace everything else, literally! 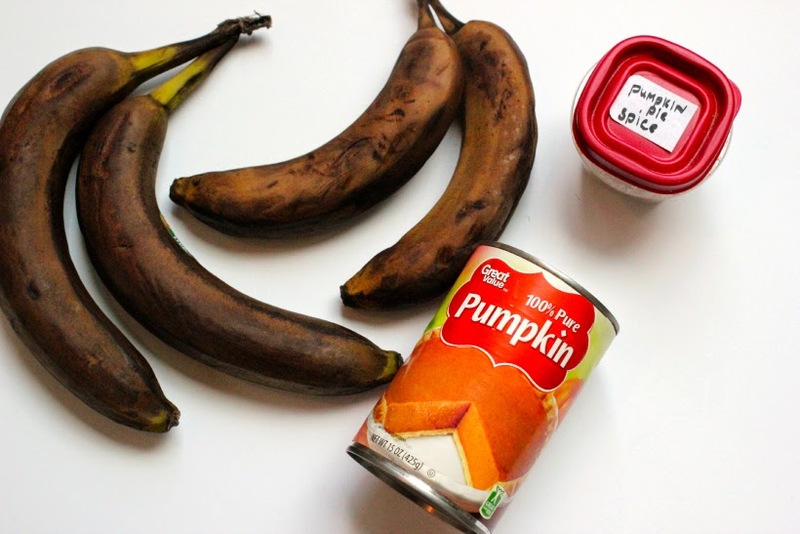 I've been banana obsessed lately, so creating a pumpkin banana based ice cream was a must. By the way, my little pumpkin baker bowl is from World Market, I scored it for $3! 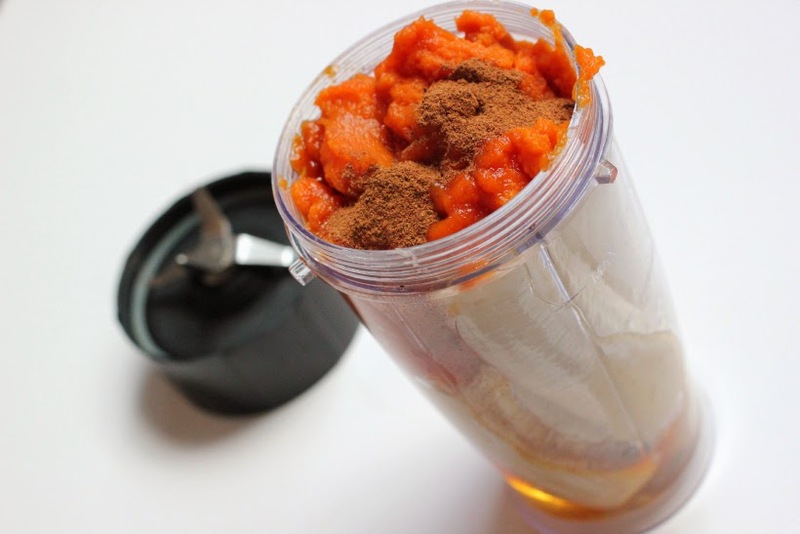 Add all your ingredients into a blender, magic bullet or food processor. 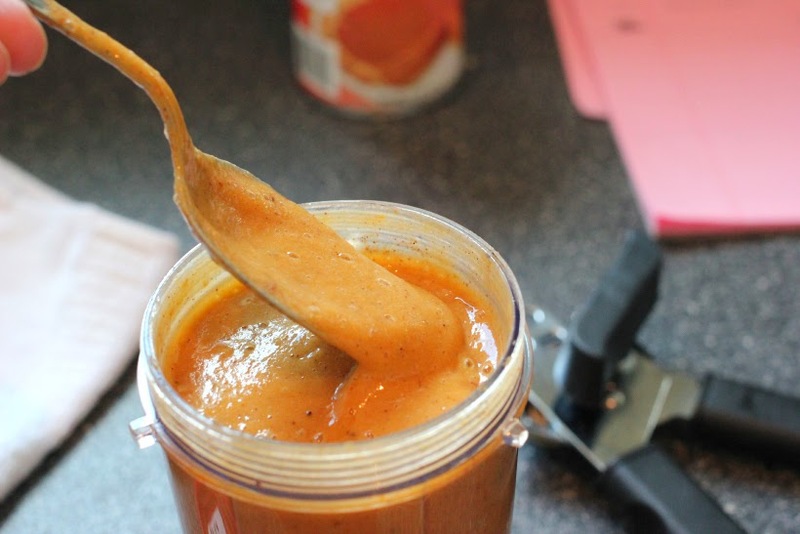 Once everything is blended pour into a freezer safe bowl. 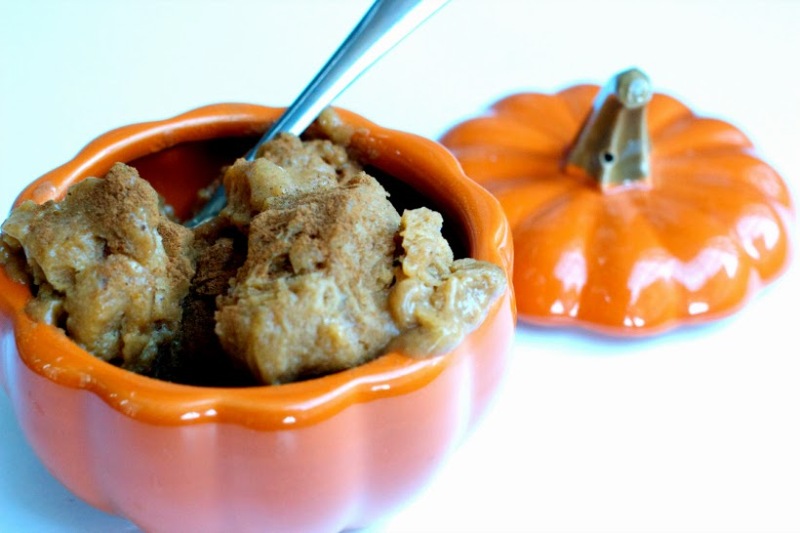 After 24 hours, scoop out some ice cream and top with some tasty cinnamon! Voila! This ice cream does freeze hard so I had to pop my bowl in the microwave for 30 seconds to be able to spoon it out easily. 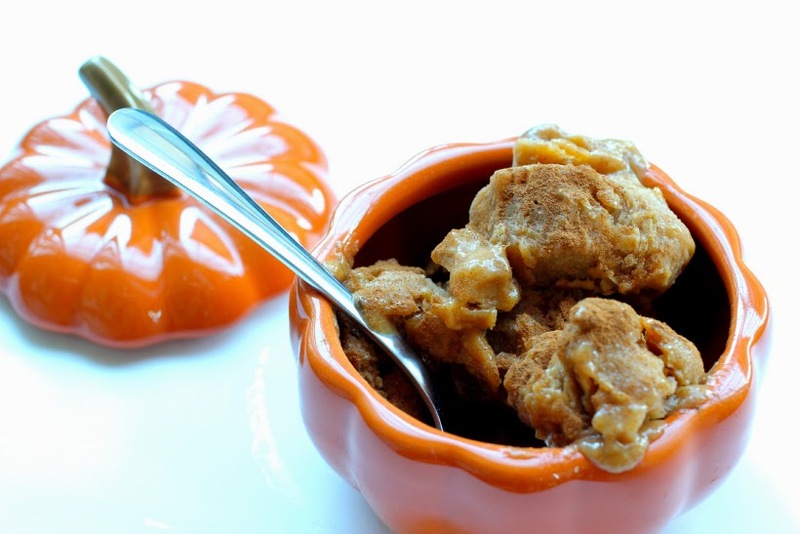 Enjoy your pumpkin treat minus the milk!